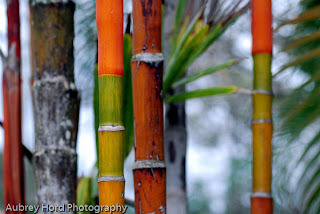 Hana is one of those places on Maui that I never get bored of visiting. It is a remote a lush tropical paradise that has retained the Hawaiian culture and embraces you when you arrive. 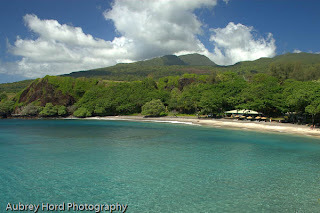 The community is built around a bay on the eastern shoreline of the island of Maui, accessible by a long, narrow and windy road on either direction or by the small Hana airport. 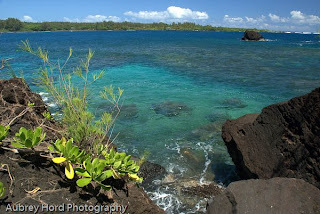 There is a spirit in Hana, they call it "mana" in Hawaiian, meaning "life force." 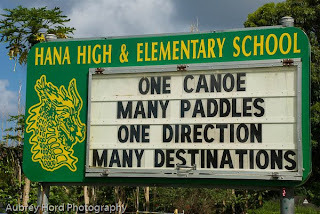 It seems as if this "mana" embraces the Hana community and protects it from over development for the time being. It is a strong community of families who have thrived for generations in the area. Many have worked at the Hotel Hana-Maui for decades - just check out the wall of photos of employees next to the concierge desk. 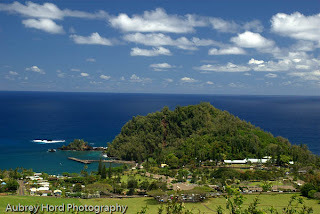 Fishing, farming, ranching, hunting and traditional crafts are still part of the lifestyle in Hana. The Hana Ranch retains a presence both in town and just outside town along with Hasegawa General Store (a true historic staple out in Hana). 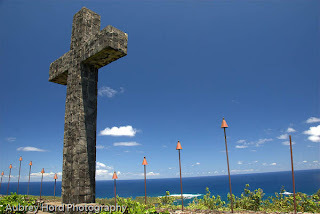 One of the largest heiaus, or ancient Hawaiian temples, Kahanu Gardens, is found just before you arrive in Hana town and is a definite must see. 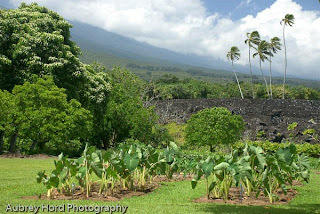 It is part of the National Tropical Botanical Garden System and you could easily spend a couple of hours wandering through the grounds and marveling at the enormous, hand built and wonderfully restored heiau. 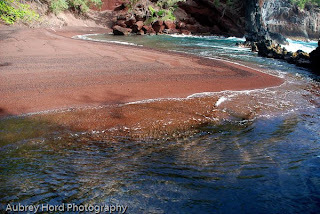 Hana also harbors a stunning red sand beach, white sand beach and black sand beach just down the road at Waianapanapa State Park. 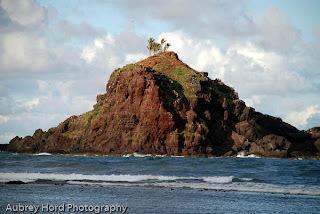 The red sand beach has turned into a clothing optional beach so be prepared to see anything. The surfing, boogie boarding and body surfing is fun at Hamoa and Koki beach just be sure to check with the local surfers when you arrive on the conditions- the strong currents and surf can be dangerous if you don't know what you are doing. Designated as a bird sanctuary, idyllic Alau Island capped with a few palm trees, sits just offshore of Koki beach. 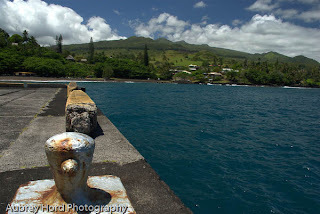 Hana Bay features the historic harbor and pier with a cute beach, picnic tables, Tutu's cafe and a short little hike along the shoreline that leads to a cave which was the birthplace of Queen Ka'ahumanu which is an historic site. A few windy miles outside of town, Haleakala National Park dips down to the ocean and contains Oheo Gulch in the area of Kipahulu. This is the area where one of favorite trails winds through the bamboo forest to a 400 ft waterfall called Waimoku Falls and there are pools of water cascading down the hillside, ready for swimmers to take the chilly but refreshing plunge. You will have to pay the fee to enter the national park but it is worth the adventures you will have exploring, swimming, hiking and relaxing in the lush, tropical area. You just gotta make the drive to Hana one day if you haven't already. Enjoy it, respect it and leave it as you found it, if not a little nicer.